Property managers have trusted ARD Distributors for more than 40 years for their appliance and air conditioning replacement services and rehab projects. 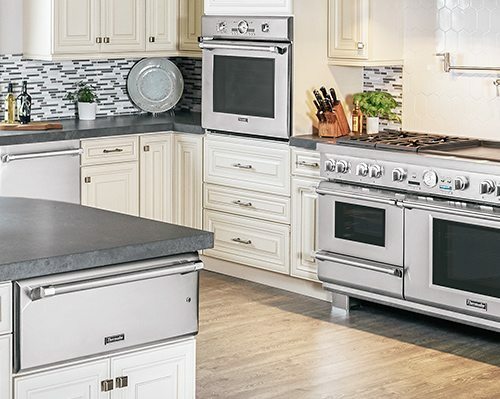 In need of appliance replacement? We have a trained team of ARD professionals who safely deliver your appliances when you need them. No large quantity orders are required. Our delivery team will always call to notify you 30 minutes prior to arrival. Our ARD professionals will remove all packing and protective materials and deliver appliances directly to the apartment unit specified, taking the heavy load off your employees. Our ARD professionals are trained to install OSHA required anti-tip brackets every time they deliver a range. We bring the proper tools along to make sure they’re installed securely. If a mistake was made in specifying the door swing for a refrigerator, our delivery team is equipped to make the change swiftly, upon delivery. You can depend on ARD to safely remove old appliances from your property, saving your maintenance staff time, effort and expense. Our customer service department is dedicated to scheduling all warranty work, saving your staff the hassle of having to call the manufacturer to set up service calls. We will also track the service call to ensure your appliance was repaired when scheduled. Jacksonville, Daytona, Gainesville and Savannah, GA.
Six distribution centers to serve you faster!